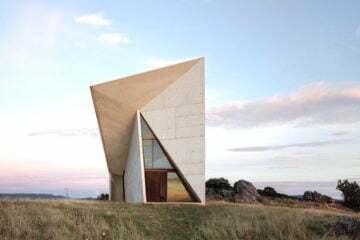 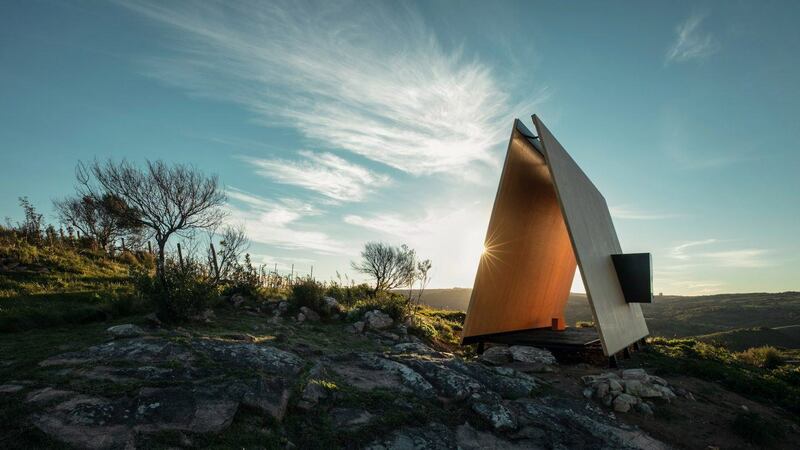 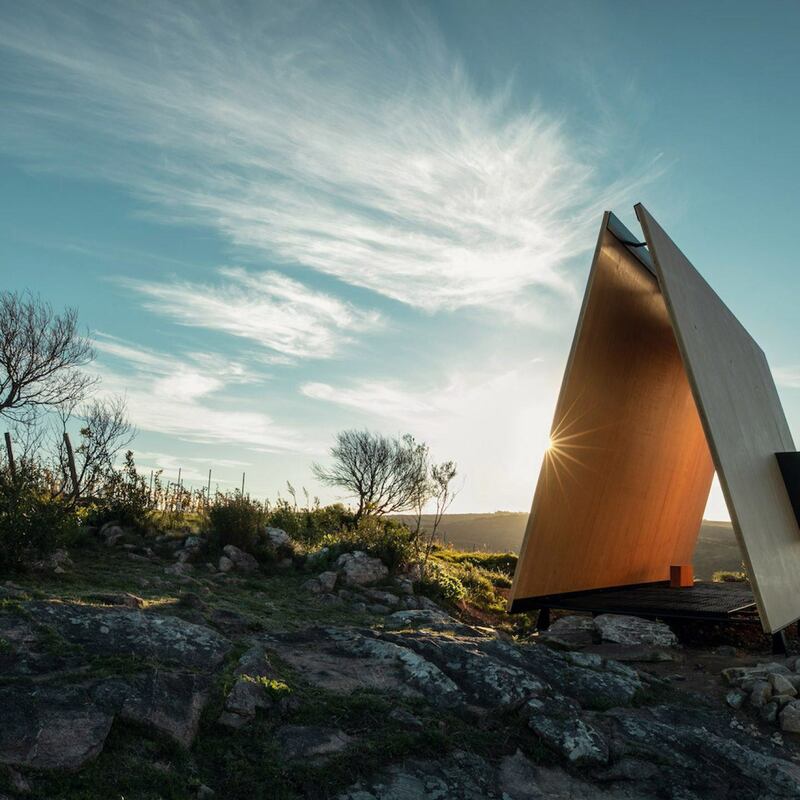 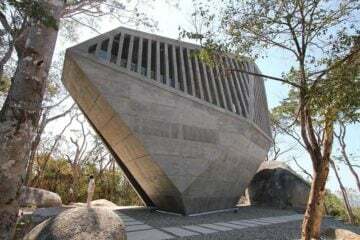 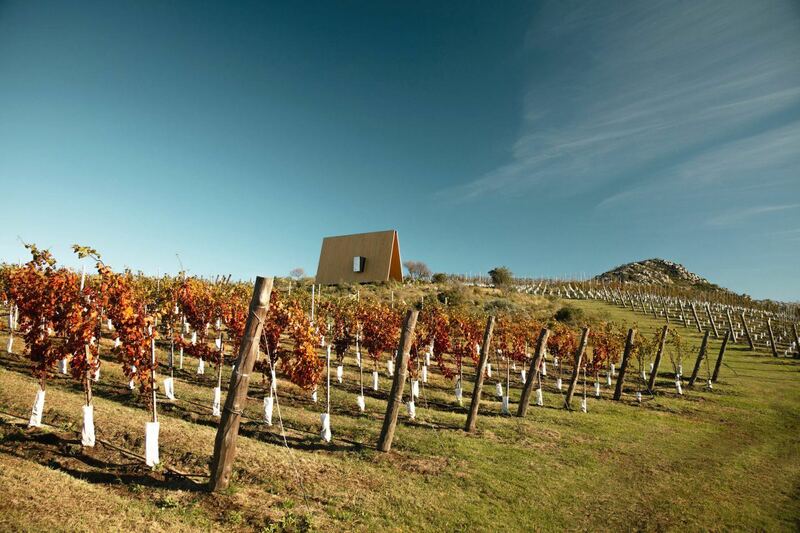 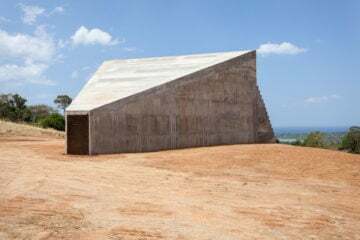 ‘Sacromonte Chapel’ is an inventive but simple religious sanctuary on the 101 hectare Sacromonte vineyard in Uruguay, designed by the Brazilian and Uruguayan architecture studio, Mapa. 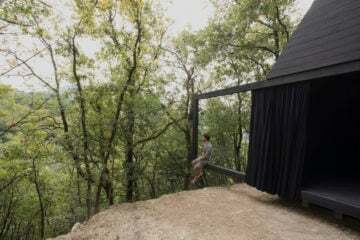 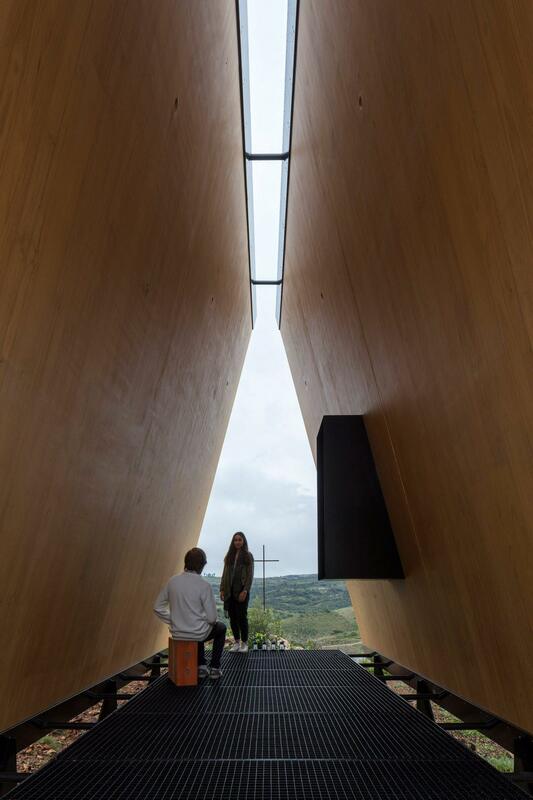 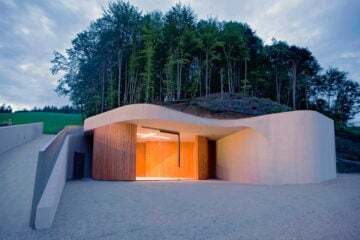 Part of the new Sacromonte Landscape Hotel and winery, the chapel is a modern take on the sacred space for prayer or quiet reflection. 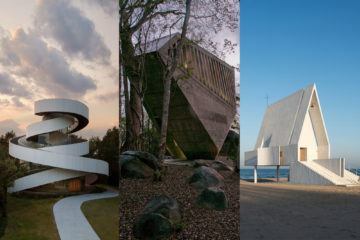 The open facade of the chapel allows it to coexist harmoniously with nature—letting in rain, hail or shine. 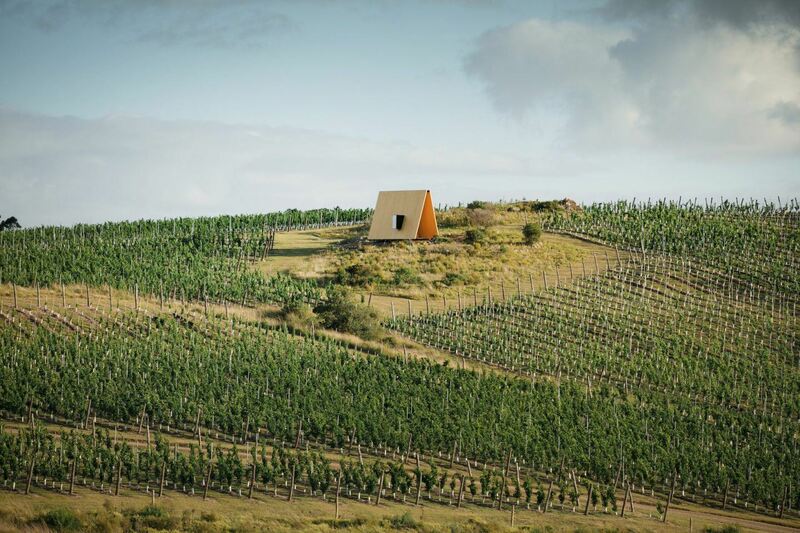 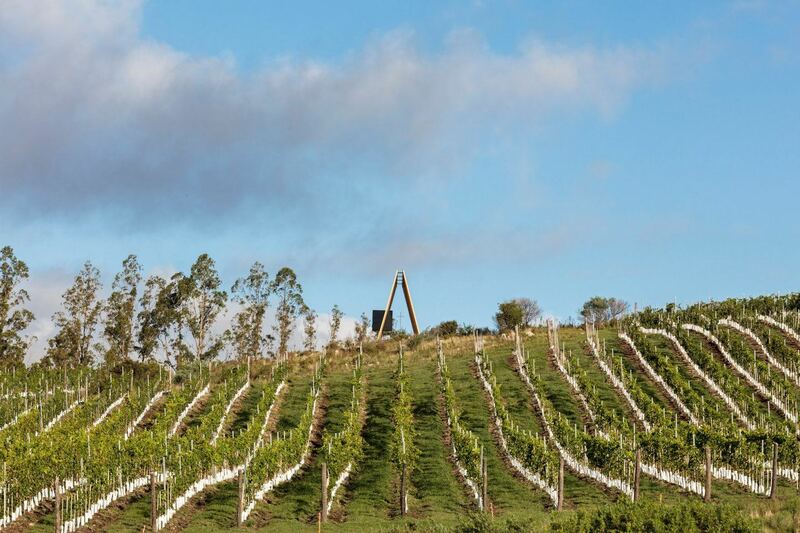 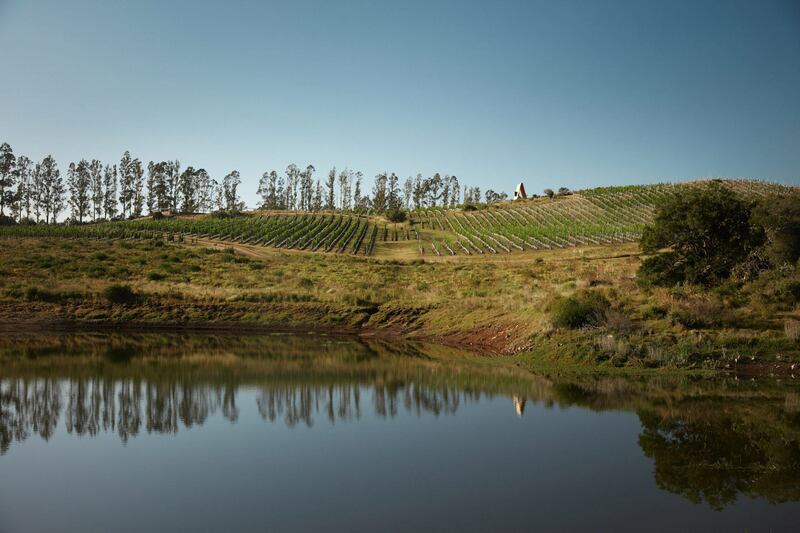 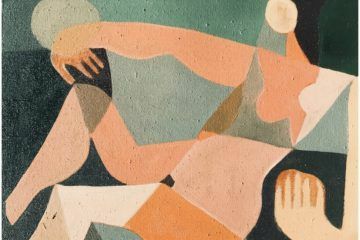 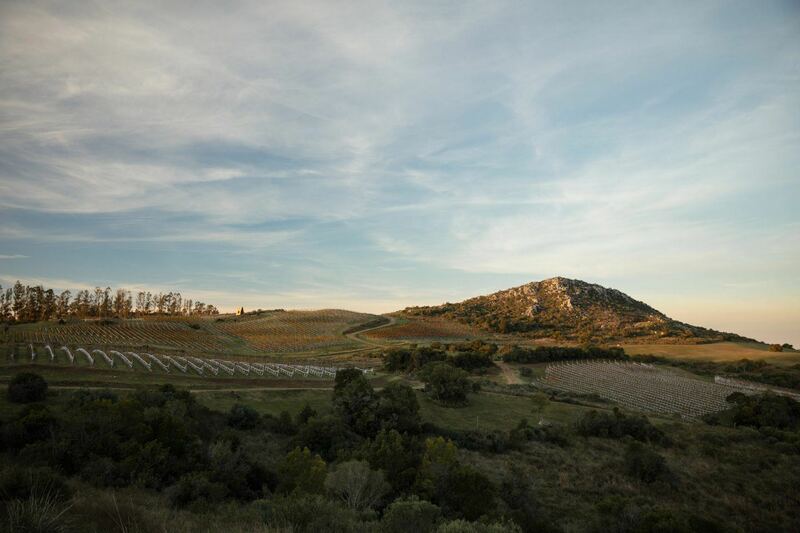 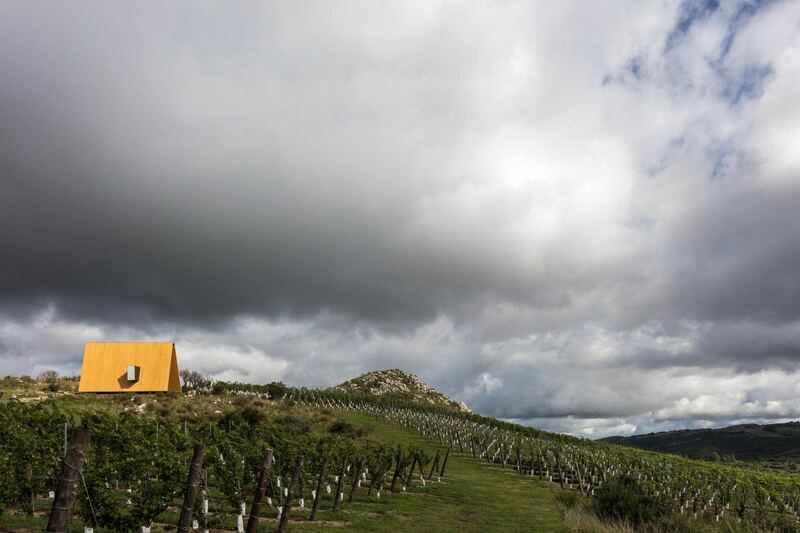 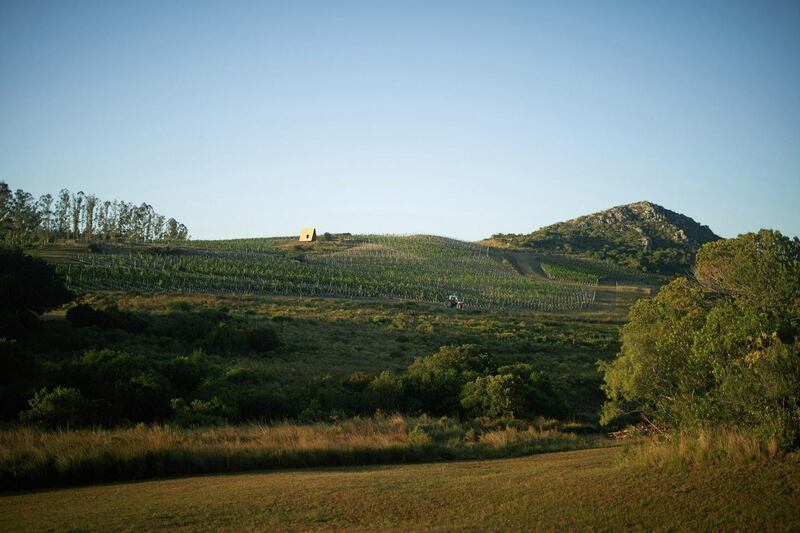 The chapel finds its place perched among vineyards, lagoons, and hills, and can be seen from afar whilst boasting sweeping views from within. 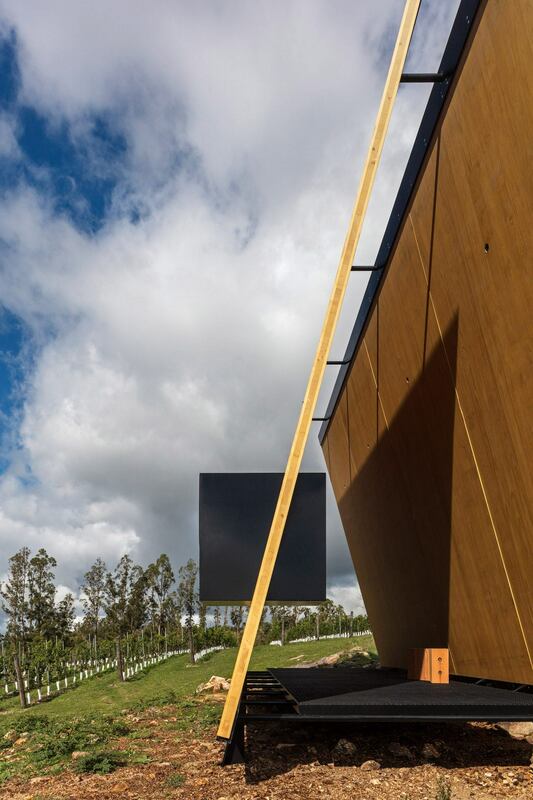 Two slanted walls made from a strong timber gesture towards each other without actually touching. 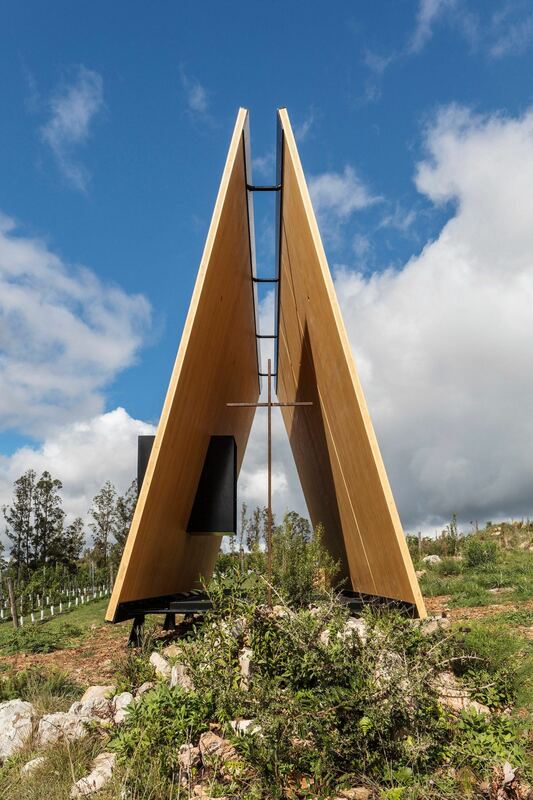 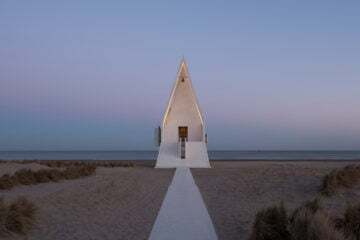 Interrupting the symmetry of this triangular-shaped design is a black metal box—a shrine for the Virgin of La Carrodilla, who is long considered the protector and patron saint of winemakers. 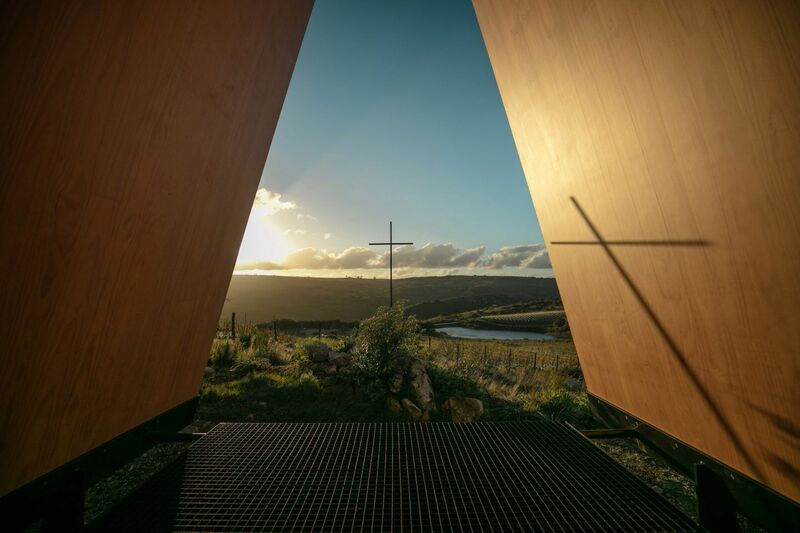 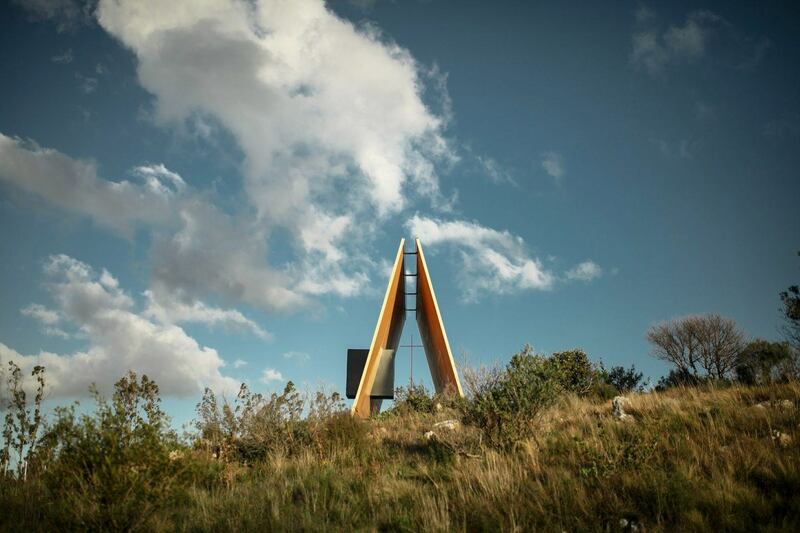 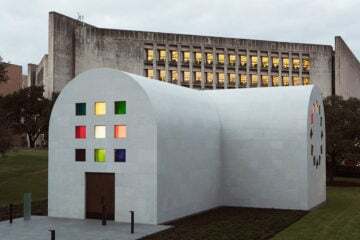 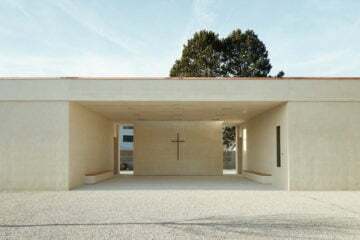 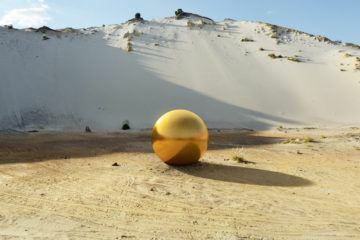 The chapel was prefabricated in Portugal and impressively assembled on site in a single day.